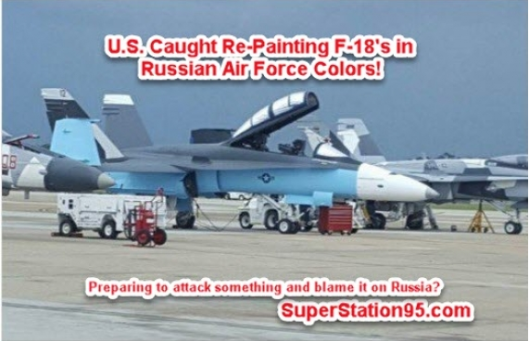 Did U.S. repaint some of its fighter jets to look like Russian plane? Subject: Fw: Did U.S. repaint some of its fighter jets to look like Russian plane? 2 days ago - The United States has been caught repainting several of their fighter jets in ... theseplanes, they can send them out on bombing missions, make certain they ... Now that we're revealing this, look for someone to come out and claim it is for something like “training” but who needs to repaint planes for training?